This will be my second time meeting Hubby's relatives in Oakland and the first time for J. 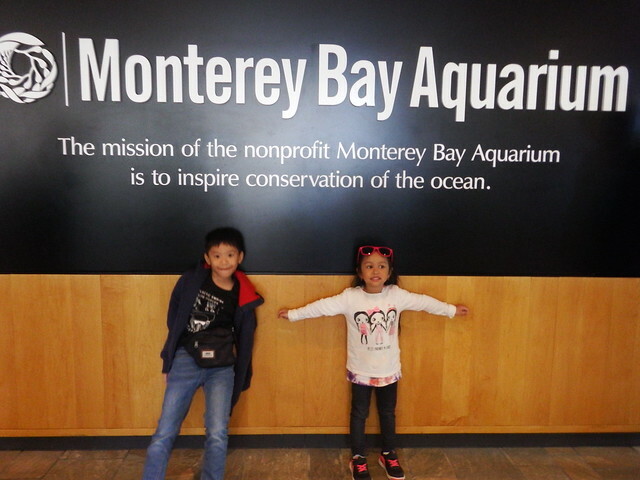 We arrived late at night and Hubby's cousin Reggie suggested that tomorrow, instead of going to the cemetery to visit their late relatives, we go to the Monterey Bay Aquarium. I was a bit apprehensive since we would most likely be affected by jet lag. 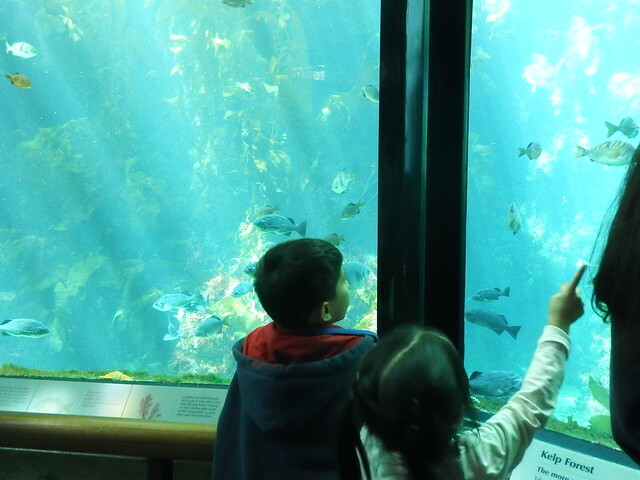 However Reggie said that the Monterey Bay Aquarium was two hours away so we'd get to nap on the way thus we agreed. Also, N, Reggie's daughter would come along and provide company for J. 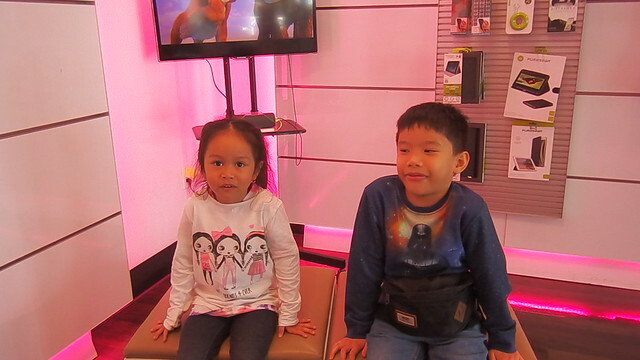 The next day, J was thrilled to meet his cousin N.
Now J has a little sister S who unfortunately is only 3 and can't really discuss stuff intelligibly all the time so J was thrilled that he could talk and play with N.
We also opted to get prepaid T-Mobile sims so that we could get mobile internet and phone service. When we arrived in Monterey we were a bit hungry. 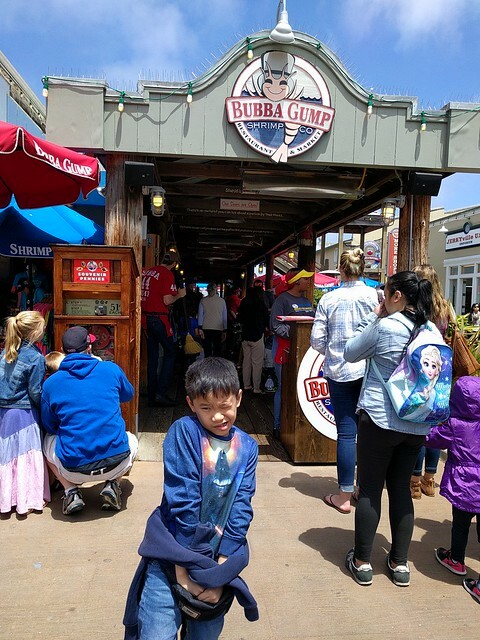 We decided to opt for Bubba Gump since it was a resto we recognized. 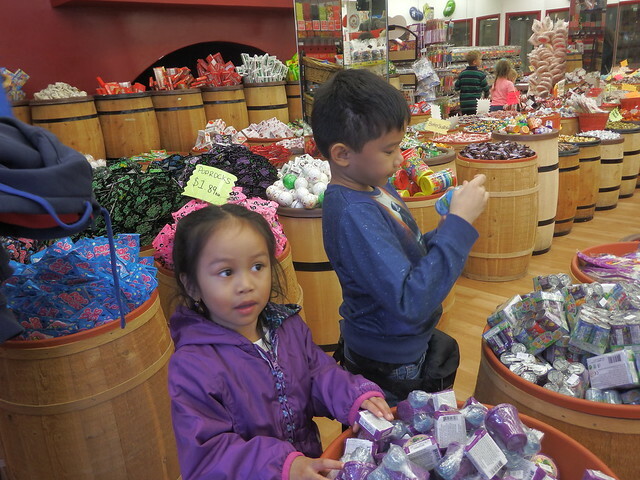 While waiting for our table we ducked into a candy shop where I had to keep the kids from eating the candy on display. It's never a good idea to browse a shop like this with barrels of candy before lunch. We were able to get a table and eat our lunch after half an hour of wandering around. The food was actually good though I was surprised that the portions weren't big when this is the instance hubby and I decided to share. 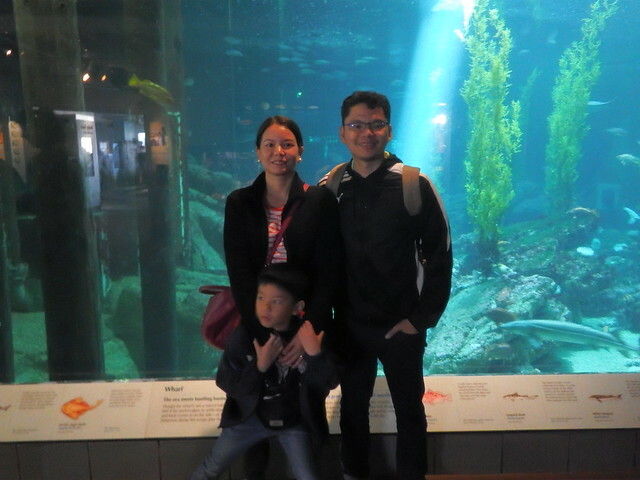 After lunch we decided to go to the Monterey Bay Aquarium itself. Family picture before J goes running around. J was thrilled to see a hammer head shark in the aquarium. He is very inclined towards science and loves reading about sharks, dinosaurs and volcanoes. We saw a lot of different fish. Some had oddly shaped heads. This one below which I filmed was a huge fish! I swear it was bigger than my 3 year old. 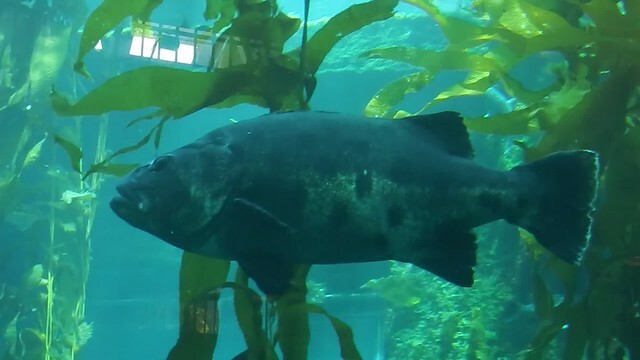 The nice thing about the Monterey aquarium is that there are also some interactive displays. There was a sort of tunnel where you get to experience the rushing of the tides. J liked it a lot. There was also an open exhibit. There were some ducks swimming around. 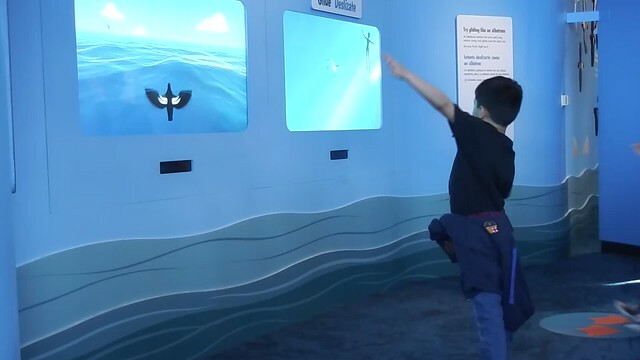 Kiddo was also excited to try the interactive exhibits where you flap your arms like a bird. 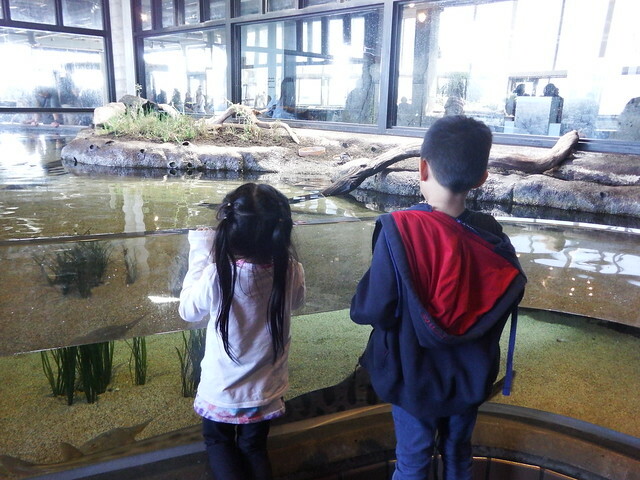 We absolutely loved our trip to the Monterrey Bay Aquarium. 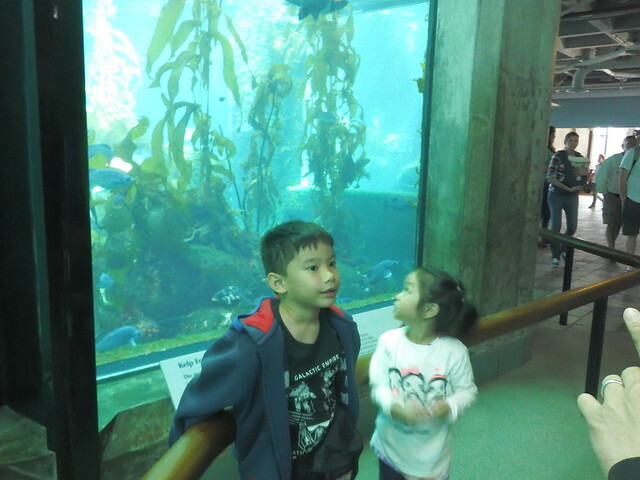 I'm glad that J is so excited to see the fish and sharks. Our family always enjoys going to these types of places and viewing the different animals. 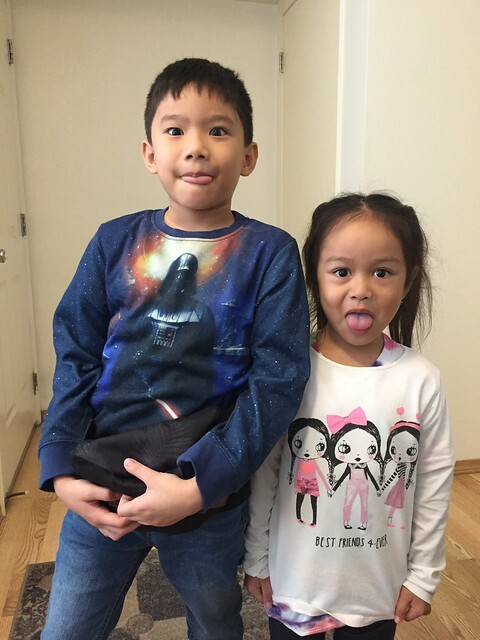 I'm sure once our little S grows up a bit she will be every bit as thrilled as her brother. 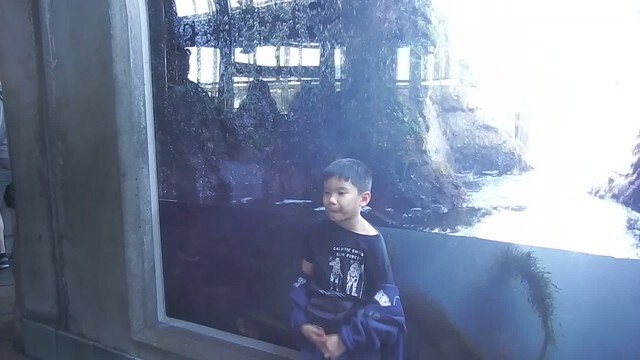 My only regret is that I wasn't able to see the penguins though I did see the sea otters. This only means one thing, we have to go back with the little girl when she is older. 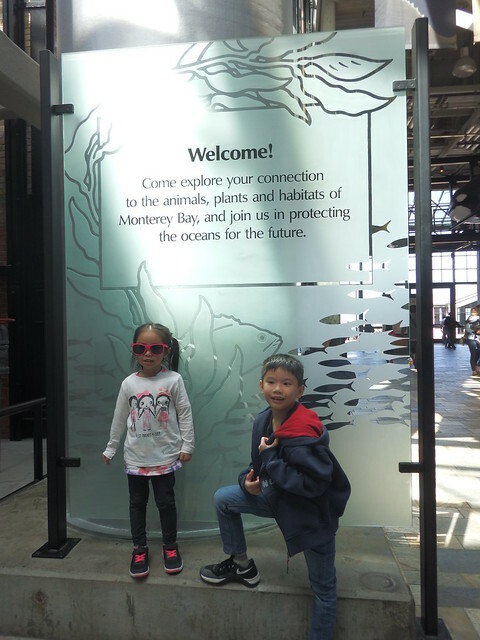 The Monterey Bay Aquarium is located at 886 Cannery Row, Monterey California.